They say a psychedelic experience is a rather effective method of stress reduction, but according to pop culture, those encounters tend to stem from, ahem, particular types of chemical ingestions. Luckily, we’re a technology website so we won’t comment on questionable substances, and instead bring you the PSiO Mind Booster glasses. These visor-like frames are designed to flash soothing colors and music to coordinate your brains into relaxation and stimulation. 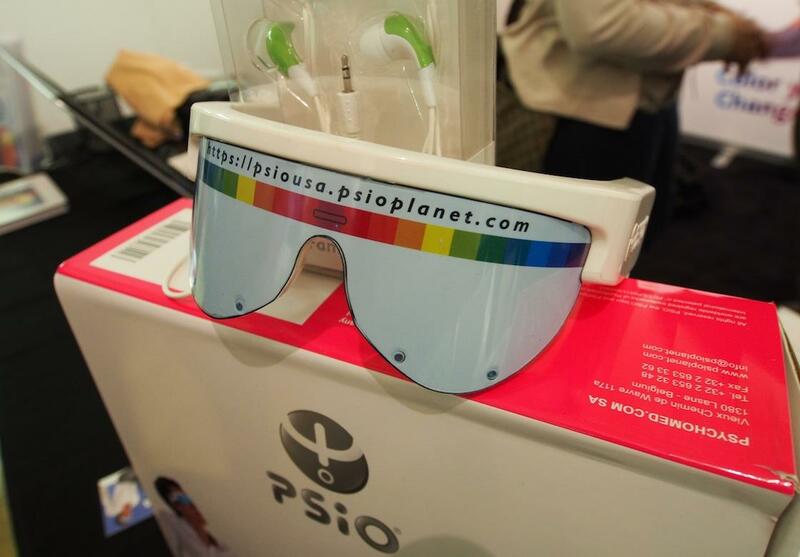 Demoing at CE Week in New York, PSiO operates on the idea that combinations of color and light therapy with beat vibrations can help the brain increase memory, creativity, focus, concentration, and boost energy. Programs can last anywhere between five minutes to an hour, though users can choose to stop during any time. Some may find this concept skeptical, but imagine if you lived in a rainy place all of your life. Wouldn’t a burst of bright sunshine suddenly make you happier? The various colors aim to do the same to your brain, using audiovisual sensations as a way of hypnotizing you into bliss. The Mind Booster glasses also contain instructional audio programs designed to help those suffering various diagnoses, such as Attention Deficit Hyperactivity Disorder, Post-Traumatic Stress Disorder, and depression. These recordings are programmed by doctors in the field, and contain directions to help the wearer mentally fight out of their conditions – from addiction to weight loss or fatigue. At a glance, the glasses do look pretty futuristic although the design is still minimal. At the core, the hardware is just a pair of white visor frames with light-deflecting lens, and two ear buds are connected at the sides. They’re comfortable to wear and possible to fall asleep in, so you may want to use these somewhere that will keep your drowsy head steady. The PSiO Mind Booster are wireless and charges via USB cable, so you can also travel with them if you need to. Bizarre? Abso-freakin’-lutely. But if people are compelled enough to try hypnosis as a method of therapy, you can’t blame larger companies for trying to adapt a technological gadget out of the medical concept. 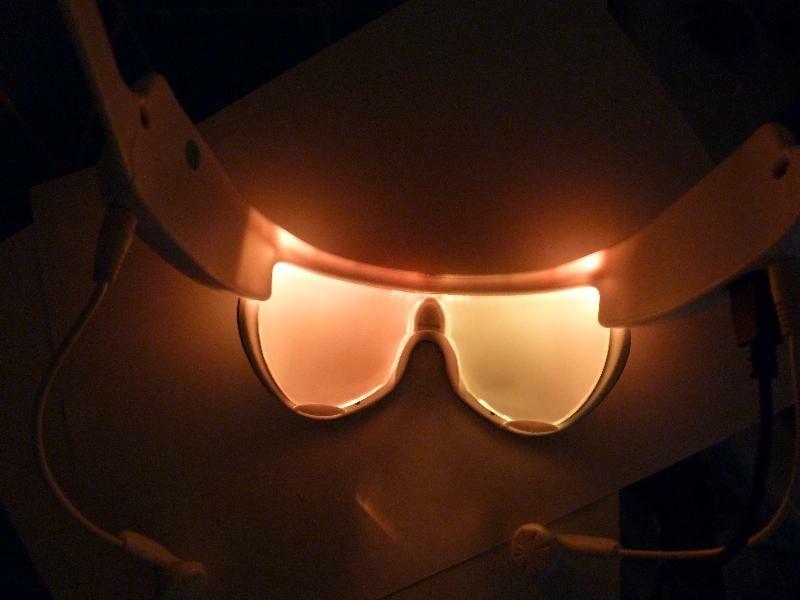 The PSiO Mind Booster glasses are available online for $350. Assuming you wear them for at least 30 minutes a day, that’s comparable to the cost of a daily energy drink or coffee.